Kīlauea continues to erupt at its summit and East Rift Zone. 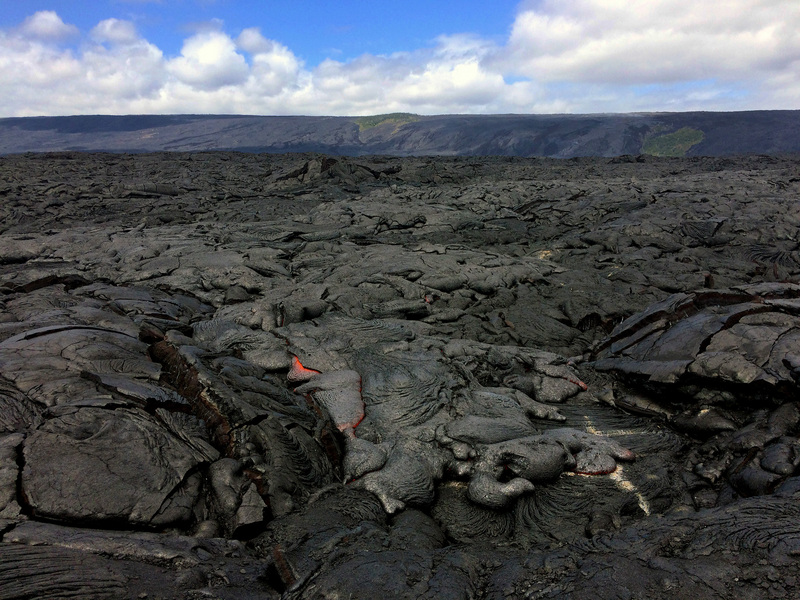 This past week, the summit lava lake level varied between about 20 and 30 m (66–98 ft) below the vent rim. 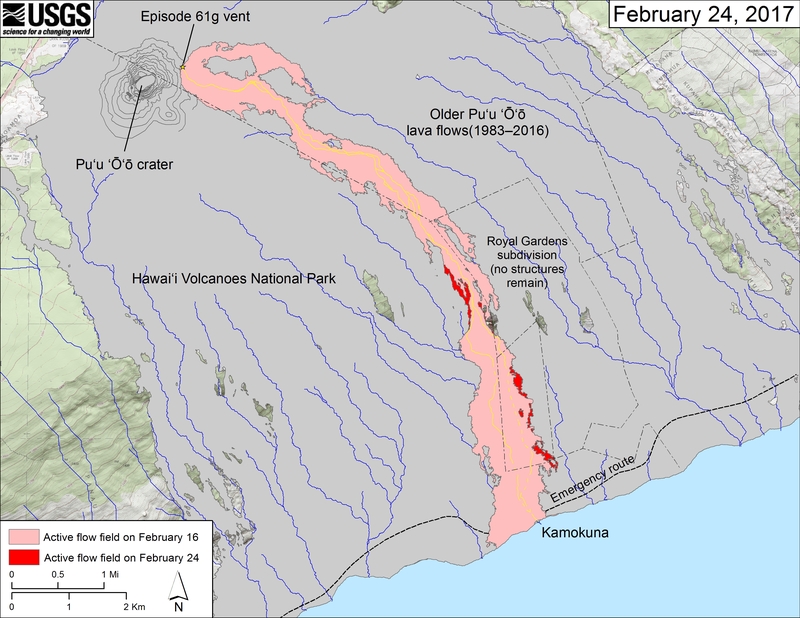 The 61g flow was still active, with lava entering the ocean near Kamokuna and surface breakouts downslope of Pu‘u ‘Ō‘ō and on the coastal plain about 730 m (about 0.5 mi) inland of the ocean. The 61g flows do not pose an immediate threat to nearby communities. Mauna Loa is not erupting. During the past week, a few dozen small-magnitude earthquakes occurred beneath the volcano, primarily in the upper Southwest Rift at depths less than 5 km (3 mi), with a few on the volcano’s west flank at slightly greater depths. GPS measurements continue to show deformation related to inflation of a magma reservoir beneath the summit and upper Southwest Rift Zone. No significant change in the summit fumarole temperature was noted this past week. Two earthquakes were reported felt on the Island of Hawaiʻi this past week. 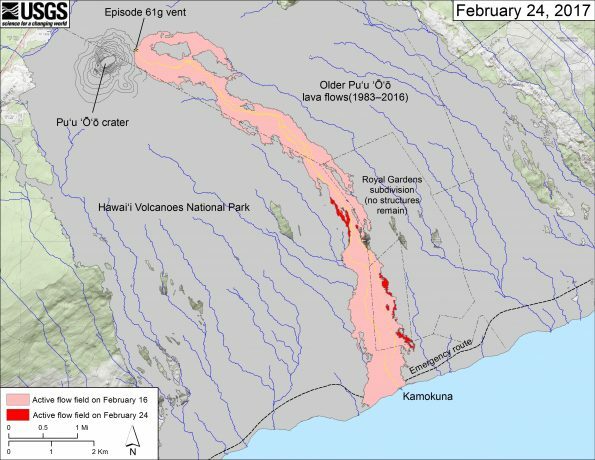 On February 17, at 5:33 a.m., HST, a magnitude-4.6 earthquake occurred 23.7 km (14.7 mi) northwest of Kawaihae at a depth of 41 km (25 mi), and, at 5:49 a.m., a magnitude-2.4 earthquake occurred 22.4 km (13.9 mi) northwest of Kawaihae at a depth of 40 km (24 mi).